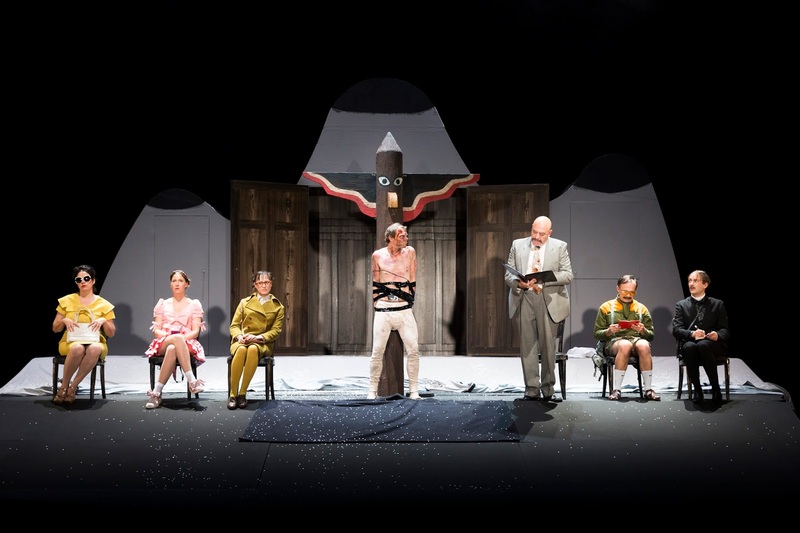 The government inspector is a commissioned play comedy by Lukas Linder after Nikolai Gogol. The inhabitants of the little village in Switzerland are afraid, that strangers and refugees coming to their village might take over and they might lose everything they have worked for their entire lives. For that reason, they decide to make any new arrivals believe that the community is in a disastrous state, that way they want to make them leave again as soon as possible. When a visitor arrives, his day trip turns into a crazy trip with an end that could not have been foreseen. The story is very amusing and the live singing sometimes creates an atmospheric background and is sometimes almost bizarre. The barely two hours pass by very quickly and the play is very entertaining, even though we find the ending a bit disturbing.